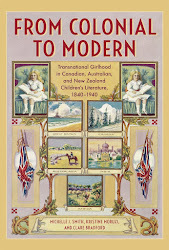 For the 3-year project I'm working on, 'From Colonial to Modern: Transnational Girlhood in Australian, New Zealand and Canadian Print Culture, 1840-1940' , I've begun buying Australian girls' books in earnest. 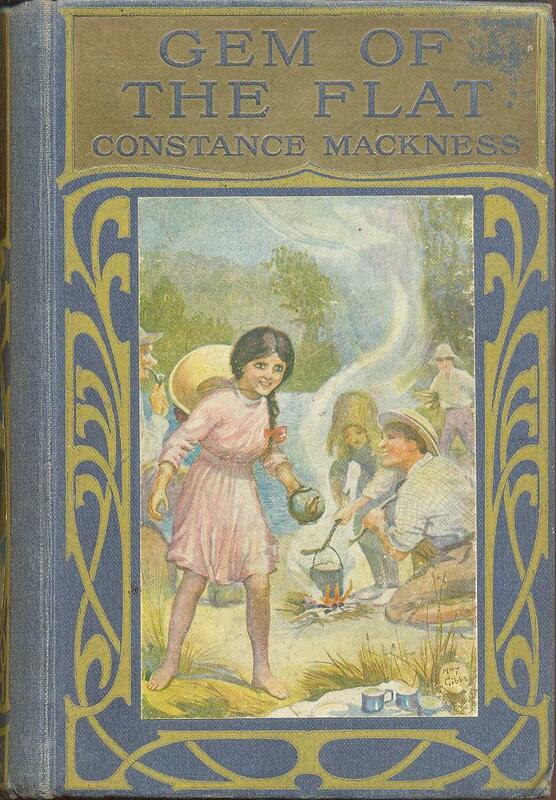 British girls' books, I'm finding, are much more readily available for sale online, possibly because they had much larger print runs. Some of the Australian titles are simply not to be found, or rare copies are being sold for hundreds of dollars. Many of the covers are very striking and ornate, so I'll share a few here. This copy of Gem of the Flat (Angus & Robertson, 1914) by Constance Mackness has its paper spine illustration intact. I was surprised to see that the cover images were illustrated by May Gibbs, of Snugglepot and Cuddlepie fame. These sorts of girls' books with elaborate covers were often given as gifts and prizes, as was this one, which is inscribed "To Mary, With much love from Auntie Minnie + Uncle Sidney, Ballarat, Australia, October 1930."